You are here: Home › News › Get Involved › News › Help us Celebrate Miss Major and Abolition this Weekend! It is a beautiful thing when we get to celebrate the life of a trans elder. This weekend in Oakland, SRLP’s Director of Client Services, Stefanie Rivera, will be doing just that as she attends the Retirement party for Miss Major Griffin-Gracy. SRLP has deeply benefitted from Miss Major’s life and light. 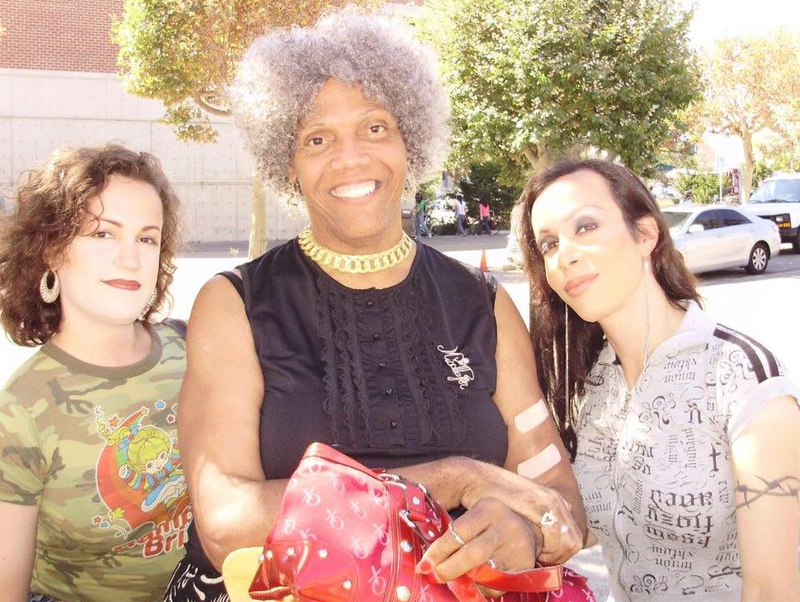 Miss Major has served as the Executive Director and lifelong movement leader for the Transgender, Gender Variant and Intersex Justice Project for many years. Her leadership has promoted the voices and experiences of other formerly incarcerated trans women of color and has ensured that abolition, humor, and love, lead our movements. As Miss Major approaches her retirement SRLP urges all of you who love and support our work to donate to Miss Major’s retirement fund and help ensure financial security for an elder who has always fought for us. While in Oakland, Stefanie will also be speaking at the “Law for the People” convention which is organized by the National Lawyers Guild. Stefanie’s panel is entitled “Strategies for Abolition: Fighting Transphobia, Racism and Economic Oppression” and will focus on building solidarity and support as we seek to abolish the systems of oppression that are so deeply rooted in this country’s history. The panel’s aim is to make abolition feel like an attainable goal for participants by highlighting the campaigns and every day work being performed across the globe. If you are in Oakland please attend and keep checking back to the SRLP website for photos and updates regarding the conference and Miss Major’s retirement party.